I hope everyone is having a fantastic week! As promised, I’m back with the second swimsuit I wore while on vacation a few weeks ago. Again, this one piece is from ASOS and I’m absolutely obsessed! This is from their Fuller Bust line, but I’ll be sure to link some other options for y’all as well. 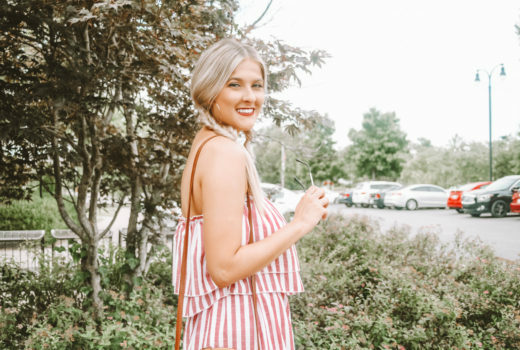 A good swimsuit is a MUST for summer, and I was super impressed with the quality of this swimsuit from Wolf and Whistle. If you’re searching for a good one piece this season, be sure to check them out! I think the little keyhole detail makes this suit fun and flirty without showing too much. The straps are adjustable and can even be removed for a strapless look. I could have probable gone down a size, because the cups gap a little but this didn’t really bother me. I’d rather the top be a little too big than too small! The light pink and palm print are extremely on trend right now. The pink also makes you look a little more tan, which is always a plus! 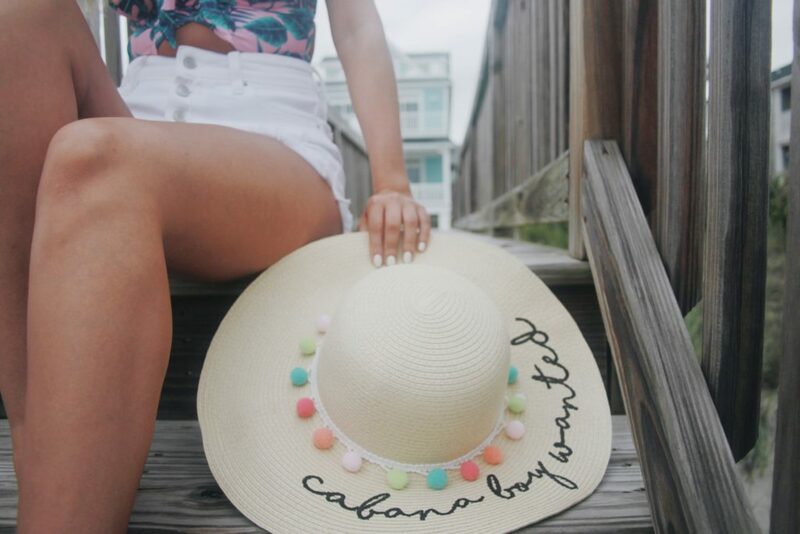 When I wasn’t in the pool or on the beach, I threw on a pair of high waisted white shorts and the cutest beach hat! You can shop this look below or head over to my Swim Shop page! Have a great weekend, and soak up alllll the sun!